The oil filter in '13-'18 Ram Cummins 2500/3500/4500/5500 heavy duty trucks is notoriously difficult and messy to remove. You either have to remove the air filter assembly to get access from above or go through the fender well area with the wheel/tire removed (This is optional). Whether you access the filter from the top or from the side, the "shadetree practice" used by owners is to drop the used filter into a thick zip-loc bag to prevent oil spillage. Just be careful, don't snag the bag. 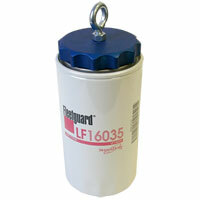 If you want a more substantial "tool" than a zip-lock bag, get this oil filter cap-off tool. Drop the oil filter down, screw in the filter cap (palm shaped for tight clearances) and you can turn the filter any direction without spilling any oil. While this tool was designed to remove the oil filter from the '13-'18 Ram Cummins trucks, you can use it on all year trucks to help prevent a mess from spilling the oil out of the filter if it gets away from you. This is really a great tool and is made to last a lifetime. Since it's metal, it won't warp or crack like cheaper plastic ones. Also, there are plenty of threads so you know you have a secure fit onto your filter. You won't regret this one. I can't believe I didn't find out about this helpful tool until just recently. I work at a Ram dealership and have tried to figure out how to replace the filter without making a mess, also how to prefill the new filter. Time is money in my job, and this tool paid for itself in the first week. No more mess, and no more dry starts. Absolutely a must-have for the home-garage mechanic. I insist on maintaining my own vehicles and motorcycles. After owning only Power-Strokes, my 2018 Cummins is my first. Thank you to Geno's Garage. This is a brilliant tool for a less than brilliant design by Cummins. Thank you! Worth every penny. These filter caps really make the job of changing oil easy and clean. They should be stock on all the 6.7s. Exactly what is needed to do an oil change on a RAM without making a mess. Genius design. Works flawlessly. Can remove filter through wheel well without spilling a drop. Purchased in March or April. Been in the box since. Went to change my oil and the threads are not right - they are damaged from the factory and it would not screw into the filter. Good idea, should work fine if the quality were there. I want to thank Genos for having such a well built product on the site. I hated changing my oil until I discovered this product. I was surprised at how rugged this tool was once I opened it up. Quality craftsmanship is rare these days, and this tool is quality. Very simple to use, and keeps the mess off my shop floor. I look forward to more products from Genos. I bought the product a month ago. Used it for the first time in my personal vehicle an it performed with out any issues. Great product an would recommend to any other Cummins owner. No need to remove air filter. Oil filter can be tilted to installed/removed without an oily mess. Performs nicely. Be sure not to tighten on to the filter. Just a snug fit will do. You can only use one hand to remove and replace it. I haven not used this yet, but it looks well made and should help avoid oil spills. Highly recommended. No mess anymore. Haven't used it yet but it can only be much better than without it. This tool help me remove the oil filter with little to no mess at all. Made my oil changes more faster, cleaner, but less time consuming. I recently saw this tool on the website and knew I wanted this for my '17 Ram. As you know, the oil filter comes through the passenger side wheel well and this tool is invaluable for being able to keep the used oil from spilling out of the filter as you lay it on its side for removal. Same process reversed if you pre-fill your new oil filter before install. I highly recommend this to make an oil change much easier and less messy. Makes for no mess no fuss r/r of oil filter right through the wheel well. Great tool, beefy, well made. If you are thinking of getting one, GET IT! It works great, literally don't spill a drop of oil now, save LOTS of clean up time. Thanks Geno's! Works perfectly. Didn't spill one drop of oil. The oil filter cap for the cummins works as I hoped it would. Best solution for the problem. Glad I bought it. I tried to thread the oil filter cap off tool into a new Dodge/Cummins M0-285 filter...it will start but stop immediately. I do not want to force it and screw up the threads! I checked the filter and the tool with a thread gauge, both appear to be 16 threads per inch. I am going to return the new filter and try another one just to rule out a factory defect. The threads in the filter look fine but as soon as the tool begins to thread "straight" it stops! I have been turning wrenches for over 50+ years and have a feel for things that just are not right, plus I would not want any debris from the threads going into a new filter before I install it on a new engine. I removed the coating from the threads of the tool with a wire wheel? I Watched the video on how the tool works...it has to thread into the used oil filter freely because you can only get one hand through the opening in the inner fender. great tool I hate messes from diesel oil. The cap-off tool for the oil filter is a game changer when it comes to servicing the Cummins! Made the oil change easier and cleaner! BEST INVENTION FOR CUMMINS THIS CENTURY. Wouldnt even try to change the oil filter on my 2017 6.7 Cummins without it. No mess at all with it, works as advertised. Highly recommended! I used and enjoyed the oil filter cover when changing oil on our 2016 dodge Cummins. Just the right tool !!!!! Works just how I expected. No complaints. I just used the cap-off tool for the first time and it worked great. Works a lot better than the zip lock bag trick. This is a must have tool for Ram 2500 6.7 DIESEL. WORKED GREAT. If you like to keep the under side of your truck clean like I do, this tool is for you. Lower your filter, screw this on & remove filter through the tight space they give you in the wheel well. It won't spill a drop! Then add clean oil to your new filter, screw this tool on (after wiping it clean) go back into that tight space, remove the cap and install. Makes life easy. And no more oil drops on your garage floor/driveway! MAKE SURE THE BLUE PAINT ISN'T BUILT UP ON THE THREADS. MINE WAS FOR THE FIRST OIL CHANGE. MADE A MESS EVERYWHERE. ONCE THE THREADS WERE CLEANED AND A TEST FIT WAS CONDUCTED ON A CLEAN FILTER. NOW IT WORKS LIKE A CHARM! Aug 2, 2017 | By R. G.
Works perfectly to keep any oil from spilling while removing and reinstalling the filter from my 2017 Ram truck. Purchased the tool and changed the oil for the 1st time. I can't imagine doing the change without it. Worked perfect for a very difficult oil change. A little spendy....but very much worth it! If you do your own oil changes this is a required tool. Used it for the first time the other day it worked perfectly, didn't spill a drop of oil. Makes changing oil on your Cummins easy again. Works as advertised. Cramped access to oil filter makes it difficult to use. Maybe the more I use it, the better it will meet expectations. The cap off tool is a must if you plan on changing the filter through the wheel well. Only complaint I have is the cap arrived with slightly damaged threads and it would not thread onto the filter. I fixed this and now it works great. Works great. I work at a Dodge Dealer and use it daily. Pricey, but wouldnt want to tilt the filter out without it. And, glad to make the one time purchase over relying on a thin ziplok bag to keep spills to a minimum. Sometimes I go against myself to purchase "luxury" things to assist me in anything. I came across this and having made a big mess on the first oil change, I thought, what the heck, why not. Definitely glad i purchased this. Unscrewed the filter, lower it down, keeping it level of course. I screwed the cap on with my hands nice and snug as if installing the filter. Took it out, not even a tiny leak, all the oil stayed in the filter. Definitely happy I came across this tool and decided to buy it. No mess whatsoever. Very pleased with the great customer service. way better quality than i had expected, good solid feel to it, and it came with a free cummins sticker. kickass product and company that stands behind it. This is honestly the best purchase you can make in order to keep your filter from pouring oil all over you it made my oil change smooth and clean there was no mess and it's way cheaper than having to relocate your oil filter so I highly recommend this product. And the service that Geno's has is great they made me feel like neighbor and friend and were very helpful. Saw this tool on a YouTube channel looking for trick to get to the oil filter (other than taking out the wheel well liner) and thought to myself no way that is worth the $30. So I tried the ziplock bag method and it failed miserably, so I decided to pull the trigger and buy the cap off tool. I could not be happier with this product!!! Changed my oil this weekend and didn't spill a drop!!! Would recommend to any 6.7 Cummins owner! Not sure bout it yet. First time I've have used it and it didn't seal good and still dumped oil everywhere. Owner Response:When using it the first time make sure you get it tightened down (it can take a bit of force) to the O-ring that is built in to the top of the filter. I'm a level 3 Chrysler technician that does a lot of the diesel work for the shop. After multiple failed attempts at doing a clean oil change I bought the tool and now everyone in the shop uses it. Works on more trucks than listed! This tool works great on earlier trucks too. My Dad & I use it on our generation 2 trucks for easy clean oil changes. The catalog listing should include the earlier years too. 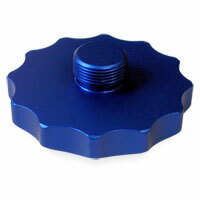 This oil filter cap is an absolute necessity if you do an oil change on a Dodge Ram 2500 diesel. Changed my oil and didn't spill a drop! It's a little expensive for what it does but seems well made. Works as good as I had hoped for! Would like to show it off to dealerships & lube shops to show how easy well it actually works! no more dripping thanks to this little cap tool, love it! Amazing product. Must buy. Cleanest oil change ever. Made in USA speaks for itself. Every person who owns one of these Cummins or changes the oil on one, should own one of these! No oil spilled and appears indestructible. This tool is the ultimate fix for a very severe design flaw in Dodge Ram pickups. The placement of the filter and the way in which it has to be removed through the wheel well makes this task one that nobody looks forward to because of the mess it creates. 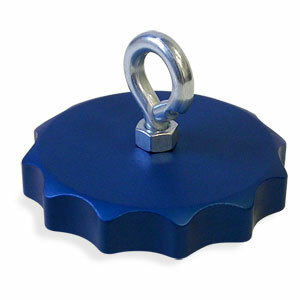 The oil filter cap off tool not only provides a means to keep from spilling waste oil but with the "I" bolt at the top it provides a means to move the filter between the frame rail and engine and ultimately through a small opening in the wheel well. For the reverse action to install a new filter its function is just as valuable. This tool is well made, lightweight, and extremely easy to install and use. This tool has taken a task that once was dreaded and lasted an inordinate amount of time and reduced it to a task that only takes minutes and with little to absolutely no mess. Any Ram owner who does their own oil changes should have this. Thank you for your service. Quality product, timely service and reasonable prices. I'll be back. But the oil filter cap off tool and it worked like a champ. No oil mess at all. Yes very happy with purchase. Only down side is delivery to Canada takes awhile which is not your fault. I bought this tool prior to attempting my first "do it myself" oil change. It worked as designed and exceeded my expectations. I didn't spill a single drop of oil while removing the old filter or while installing the new one. As a FCA tech I use this tool a number times aday.Works great but it can be easily cross threaded. A great addition to oil changes, no more trying to be a magician to not spill oil everywhere! The first time I changed my oil in this truck I knew it was not going to be fun. I read a lot of reviews that said it was a nightmare. I just figured they were not very handy people try to do a little work then selves. I found all the reviews to be correct changing the oil filter was a Hugh mess!!! I used the freezer bag like a lot of people recommend, this work good until the bag got a hole in it trying to weave the filter out of the location through the finder well. I bought this filter off tool (Cap) and used it for the 2nd oil change after I let my truck sit for three hours without running. I dropped the filter placed the Cap on and pulled it out. NOT 1 Drop of oil this time went anywhere. No mess. This Cap is a great tool and one I would consider to be a must. 2 key tricks 1) let the truck sit for a few hours without running 2) use this Cap And it goes back to no mess no frustration. This product is a must for changing the oil on my 2016 6.7 cummins. Thank you very much. The Cap-Off Tool for the Oil Filter for the Ram 6.7 liter diesel worked perfectly. Not a single drop if oil while removing or installing the new. It worked exactly as identified. This tool is great. Got it in a timely fashion. Only complaint and not really complaining is that I did not get the free gift they said I would get. Other than that I am completely happy. I wish I had this when I did my oil change the first time on my 16' 3500. very well made and machined. I can tell just by looking at a video on line that the tool will make oil changes a breeze. No more 1 gal glad bags to leak oil all over me and the floor !! This tool make changing out oil filter on my 2014 much easier. Product works awesome, doesn't spill a drop of oil and the supplied eyelet helps to pull the filter out of the tight spot. Great tool. Does exactly what it is designed for - keeps the oil in the filter and not all over the truck or the driveway. Get one! It works just as advertised. No spills, or mess. One of those "where have you been all my life tools". Really keeps the work area clean. MY CUSTOMERS LOVE THIS TOOL. SHOP OWNERS ARE HAPPY BECAUSE TOOL SAVES SHOP SUPPLIES AND TIME. Just changed the oil for the first time with this cap off tool. In the past my garage floor has looked like the Exxon Valdese oil spill when I got done, but this time not a single drop spilled. This combined with a fumoto valve on the oil pan and I truely think you could change the oil and not have to wash your hands afterwards! Great Product for DIY'ers. Helps making changing oil Quick, Clean, and easy! Great tool! No mess oil filter removal and installation! Wish I would have gotten this on day one! So much easier and no mess! Great idea, and beautiful little tool. Make sure threads are clean by spinning it onto another oil filter first. The threads on mine were a little dinged up when it arrived. It wouldn't spin all the way on. That would have been a pain if I hadn't found it prior to using it when I change my oil. Geno's custom products are always very handy and well thought out. I got a bad one from a defective batch from their supplier but was promptly and without hassle taken care of! This worked brilliantly and eliminated spillage entirely. My only helpful tip is on the very first use, put some motor oil on the threads and work it into the new oil filter a few times. I tried it dry and I could only turn it 1.5 turns. After I did that, it worked that a charm thereafter. Great product, zero spill when changing the filter. Good craftsmanship. Oil filter cap-off tool worked exactly as described. No more saran wrap or Ziploc bags. Life saver! Makes oil changes mess free! DIY's - you can't be without this gizmo!!! If you do your own oil changes on a Ram 6.7 CTD you absolutely need this gizmo! (Oil Filter Cap Off Tool) If you don't want to spill oil from the filter when removing or installing the oil filter then you better buy this. This will save you frustration and from an oily mess if used. I highly recommend this product. The item is made from top notch material and will last you forever. I am very pleased with this purchase. Used Diesel oil is just a mess. I got my oil changed today without spilling a drop. This worked as promised. The addition of the loop made it easy in a very tight space. Like most other people using this product, I have found it perfect. What more can be said? This Cap Off tool is an awesome idea! Having to tilt the oil filter almost completely over, to remove it from the cubby hole, in the wheel well, keeps the oil from spilling out, NO MESS! Great addition in my tool box for my Cummins Powered RAM! No mess now when changing oil. A bit pricy given what it is but worth it in the long run. Nov 4, 2016 | By Nate M.
I do about 15 of these trucks a week, and this tool is worth its weight in gold. I can get the filter out, filled, and installed in under two minutes. I recommend this to anyone who has to work on these trucks. This worked perfectly, no mess. I can't overstate how well this works! Anybody who has fought to get the filter through that stupid square opening in the fender well knows how frustrating an oil change is on these trucks. This simple item solves the issue. Worth every penny!! Excellent tool for removal of the oil filter on 2013 and up Cummins. No need to disassemble anything to remove filter without spilling oil, It made a slow messy job a fast clean one, just like shown in the video. Saw the video for this product while browsing the Geno's site and decided to give this thing a try. Outstanding idea, and it works exactly as it should. Excellent tool for the job it is intended for. Click here to View Video of Product in Use..